Early elective caesareans are risking the health of newborns and ignoring government directives, birth data shows. 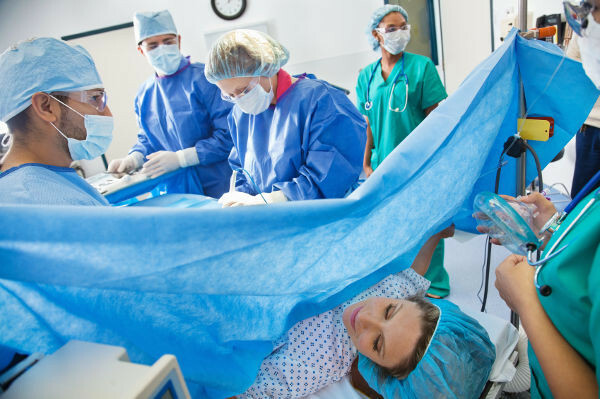 More than a third of repeat elective caesareans are being delivered earlier than the recommended 39 weeks, with some hospitals disregarding a policy directive and opting to risk the health of babies born under their care. Almost a third of all births in Australia are caesareans, according to the Australian Institute of Health and Welfare. Obstetric associations worldwide recommend babies are not delivered before 39 weeks to avoid causing respiratory distress to the infant. A 2007 policy directive from NSW Health instructed hospitals to avoid performing elective caesareans before 39 weeks gestation unless medically necessary – but some public hospitals are flouting the advice, The Sydney Morning Herald reports. Hospital birth data from 2008-2011 and published in Public Health Research and Practice shows one hospital delivered elective caesareans earlier than 39 weeks for 67.5 per cent of mothers who have had a C-section before. Delivery was more likely to be early among women who had private health cover, who were smokers or who had used assisted reproductive technology such as IVF. Miracle Babies founder and neonatologist Robert Guaran said the rate of early elective caesareans was too high, with those babies more likely to suffer respiratory distress and perform poorly in the long term. But Royal Australian and New Zealand College of Obstetricians vice-president Steve Robson said some of the early deliveries might only be a day or two earlier than 39 weeks and the study did not make this clear. Obstetricians may deliver a day or two before 39 weeks if the alternative is to schedule after 40 weeks, in order to avoid the woman going into labour early, Professor Robson says. The NSW health department says it will review the policy this year and identify how awareness can be raised among clinicians.